Matt Sandy is the assistant planning director for the county. WARSAW — Several neighbors are not pleased with a proposal to expand a pier service business in North Webster and let their feelings be known during the regular monthly meeting of the Kosciusko County Area Planning Commission Wednesday afternoon, March 7, in Warsaw. David Davidsen wants to expand his pier service business into what is now the Oakland Hills housing subdivision on Baldwin Road, south of Armstrong Road and west of SR 13 in North Webster. Davidsen purchased eight lots in Oakland Hills and wants to have seven of the eight rezoned from residential to commercial, said Steve Snyder, attorney representing Davidsen. Snyder noted a natural buffer of trees, 5 feet tall when planted and expected to grow to 10 to 12 feet in a few years, would separate the commercial operations from the residential. He said Davidsen is willing to have a restrictive covenant put in place saying the screening would be put in before any commercial operations begin and outside storage of materials would be limited to only the screening area. “It would also be screened from those driving by on State Road 13,” Snyder added. Dan Richard, area planning director, said the county ordinance only allows 20 percent of the land in a commercial development to be used for outside storage and he questioned if Davidsen had already exceeded the 20 percent. “Wanting more outside storage is probably what prompted his rezoning request,” he said. Worth Packer owns 30 lots in the subdivision and also remonstrated, saying many of the residents would not have had houses built and moved in if they knew there would be commercial development. He said the subdivision has been developing well with houses recently. In rebuttal Snyder said the original plat of the subdivision has commercial lots on it and the best protection for the residents is to isolate them from the commercial. 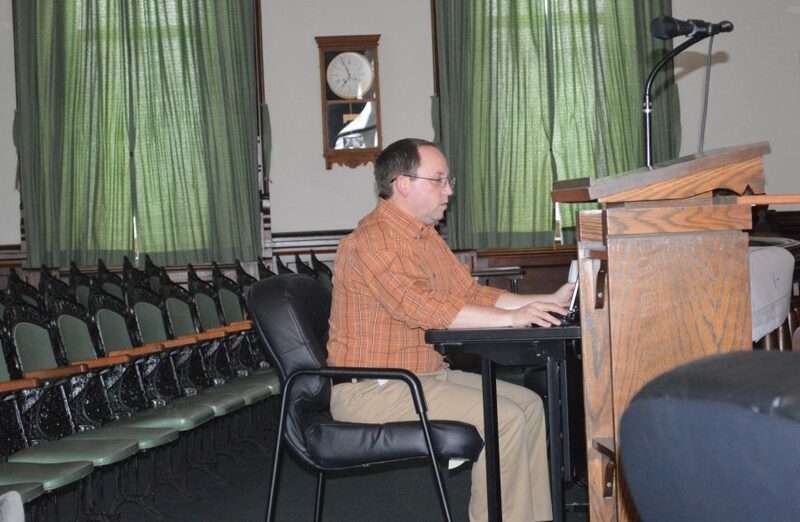 Eventually the APC voted unanimously to table the petition until the April 4 meeting to allow the residents to meet with Davidsen and also the town of North Webster to try to reach an agreement. In other business, the APC voted to have Duane Harman’s petition be heard by the county board of zoning appeals instead. Harman is petitioning to rezone to residential and create a 3.75 acre tract of ground off what was originally a 26-acre agricultural tract on CR 500W, south of CR 700N in Prairie Township. He has a special needs grandchild he wants to have a home built for and the three sell-offs permitted have been exhausted. Blake Doriot, a surveyor representing the Harmans, said the tract is primarily a wooded piece and is no good for farming because it is shaded. But the APC wants to see if the BZA will grant a fourth sell-off instead of rezoning the land. Also during the meeting, the APC approved a preliminary plat for a 15-lot subdivision on slightly more than 17 acres on CR 1100N at the intersection with Turkey Creek Road in Turkey Creek Township. Sailing Rendezvous is the petitioner. Approval was given subject to input from the county highway department because there are traffic dangers with frequently speeding cars and poor visibility. Other business included final plats approved for a one-lot subdivision for Stephen Ellis in Wayne Township, replatting lots in the Shadow Lakes and Crestview subdivisions in Wayne Township because of relocation of drainage utility easements and approving a final plat for the Haffner family, a one-lot subdivision in Turkey Creek Township.